Santa Cruz is one of just three provinces permitting indefinite gubernatorial re-election, so in theory Alicia Kirchner could carry on as many terms as her age permits. Argentina’s southernmost mainland province should have featured last Saturday as the second-smallest electorate (according to this column’s ascending order of magnitude approach) but ended up swapping places with La Rioja (the third-smallest) due to the latter’s January 27 plebiscite. Any number of differences between these two provinces but they have at least one common denominator apart from sparse population and being two of the five provinces with uninterrupted Peronist provincial rule since 1983 – if La Rioja supplied two of the three Peronist presidents of the 20th century, Santa Cruz delivered two of the three Peronist presidents in this century thus far (excluding that 2001-2002 fortnight with five presidents). Those two presidents were, of course, the couple Néstor and Cristina (Fernández de) Kirchner, ruling for three terms from 2003 to 2015 – a decade ago the INADI Anti-Discrimination Institute stated that it discriminated against women to claim that Cristina owed her presidency to being the wife of the previous president, which was sheer coincidence. Nationwide, the Kirchner name represents a recent past which may or may not return this year but in Santa Cruz it remains writ large, with Néstor’s elder sister Alicia as the incumbent governor widely expected to seek a second term in October. Santa Cruz is one of just three provinces permitting indefinite gubernatorial re-election (along with Catamarca and Formosa), so in theory Alicia Kirchner could carry on as many terms as her age (73 in July) permits but she faces an uphill battle due to multiple problems turning oil-rich Santa Cruz into something of a Venezuela at the other end of South America – thus its teacher strikes make Buenos Aires province look like kindergarten. But she has going for her that combined primary election system known as ley de lemas – in force in no less than 11 provinces at the turn of the century but now only valid at all levels in Santa Cruz. With primaries held on election day, the winning list within any party can annex the ballots of the other lists and thus trump a rival force with more votes on a single list – this is exactly how Alicia Kirchner beat the Radical Senator Eduardo Costa who had outvoted her in 2015, thanks to being awarded the anti-Kirchnerite Peronist vote, so she could always try it again. 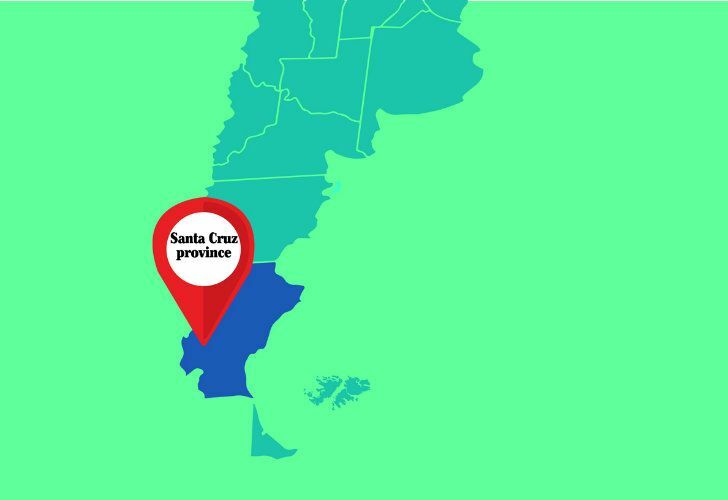 Last week Governor Alicia Kirchner made a news splash with a minor miracle – after Santa Cruz was just one of five provinces concluding 2018 in the red (to the tune of eight billion pesos), she presented the first surplus budget in 15 years. 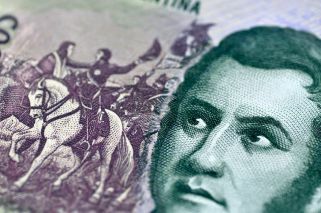 During all those years when the province enjoyed a bottomless blank cheque from Kirchnerismo, Santa Cruz was almost bankrupt and now even with the Mauricio Macri administration denying every possible cent, it posts a surplus. Incredible! OK, provincial employee pay has only risen 15-20 percent in the last four years (teachers were offered two percent last year – Buenos Aires province union leader Roberto Baradel might like to comment), while oil royalties and state revenues have swollen enormously with devaluation and inflation respectively, but somebody please explain this to me. Alicia Kirchner might be running in the family stronghold this year but not her nephew Máximo – now based in La Matanza, any re-entry into the Lower House would be for Buenos Aires province. This is one of various reasons reducing interest in any race except the gubernatorial. Firstly, no separate election date. Secondly, the three senators (the aforementioned Costa and María Belén Tapia for Cambiemos and the Victory Front’s Ana María Ianni) will not be facing the voters until the next presidential elections in 2023 so little to comment there beyond Costa’s excellent gubernatorial chances. Thirdly, only two of the five deputies (PRO’s Antonio Carambia and the Radical ladies Roxana Reyes and Nadia Ricci for Cambiemos and Máximo Kirchner and Juan Benedicto Vázquez for the Victory Front) will be ending their terms this year – namely the Kirchner and Ricci seats. With two seats up in a polarised election, an even split is inevitable unless one side more than doubles the other. A province only since 1955 (initially dubbed Patagonia and renamed Santa Cruz the next year), there is not too much pre-history despite some 11 millennia of human presence – Ferdinand Magellan, Sir Francis Drake (who beheaded a mutineer in San Julián in 1578) and Charles Darwin are among the famous names stopping by. Created a national territory in 1884, Santa Cruz had 27 governors in the following seven decades, of whom the naval officer Juan Manuel Gregores (1932-45) was by far the longest-serving and the genocidal explorer Ramón Lista (1887-92) the most notorious but the first of them all would probably be the most important – Carlos María Moyano (1884-7), who lured a significant influx of Falklanders from the Malvinas (one of whom he married, Ethel Turner, the British colonial governor’s niece), also attracting foreign investment from elsewhere. At the time of “Patagonia Rebelde” just under a century ago (when some 1,500 strikers on the sheep ranches were massacred by federal troops) English would have competed with Spanish as the local language – the Club Británico in the provincial capital of Río Gallegos has on its walls around 350 clearly British surnames of founding families from 1911, an ample majority in a town with still under 6,000 people in 1947 (only 17 percent had Argentine citizenship a century ago with many Chilean immigrants). Of the 30 names heading Santa Cruz since 1958 (of whom only 10 were elected governor with Alicia Kirchner the first woman), Néstor Kirchner (1991-2003) clearly stands out. The gap between brother and sister was filled by the now estranged former intelligence chief Sergio Acevedo and the hapless Daniel Peralta (2007-15). In the last century, the leftist Jorge Cepernic was dumped by Isabel Perón and José López Rega in 1974, even ahead of the 1976 coup, while both Ricardo del Val (1990) and José Ramón Granero (1991) succumbed to graft scandals. Always Peronists with Costa’s 2017 midterm win the only break. With the second-largest land area after Buenos Aires (and bigger than the entirety of Britain), Santa Cruz also has the second-smallest population only ahead of Tierra del Fuego – some 338,000 people on almost 244,000 square kilometres. But distribution is more even than in many provinces with a minority in the provincial capital (95,796). Other five-digit populations: Caleta Olivia (51,733), Calafate (16,655) and Puerto Deseado (14,183, half its population four decades ago), all 2010 census figures. But rather than any city (least of all windswept Ríp Gallegos, arguably Argentina’s dullest provincial capital), tourists are urged to see the Perito Moreno glacier – worth an entire column but no more space.